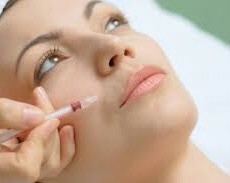 Collagen injections replenish the skin’s natural collagen. Fillers such as Collagen give a smooth plump appearance rejuvenating and enhancing the appearance. The product is a natural protein found in the dermis layer of the skin. As we age, loss of collagen naturally occurs, creating wrinkles and a deflated look in the facial features. When the collagen injections are placed under the skin, the body accepts the collagen which acts as a support structure for the skin providing a smooth plumped appearance. Your healthcare professional may require you to undergo a skin test depending on the product chosen. There are various products on the market. Some are produced from cows; others are bioengineered products. 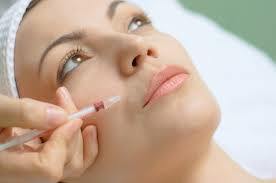 Your cosmetic care professional can provide you with details on each collagen injections product, safety and risks. If you’re not satisfied with your facial appearance due to wrinkles or your facial features are not as plump as they once were, you might want to consider a consultation with a cosmetic care professional. There are various fillers on the market other than collagen injections. Each product has its own benefits, risks and specifications. Discussing your cosmetic goals with a qualified professional is the first step in the right direction. This treatment is considered a non-invasive, non-surgical cosmetic treatment. A qualified healthcare professional administers the injections. The areas receiving the injections will be numbed for patient comfort. Minor bruising, swelling or redness may occur; they are generally minor and temporary.